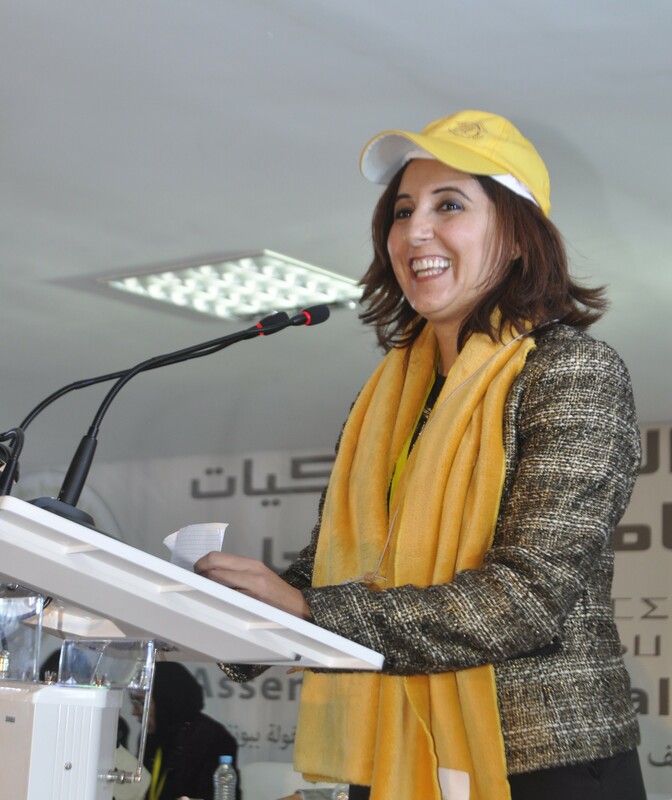 The International Network of Liberal Women- Chapter Morocco is a Network based on the very principles of liberalism; (Freedom, justice, equal citizenship and individual representation of the human being). Its approach reconciles essentially the individual with his environment in order to build a social peace, in accordance with the universally recognized principles in the field of human rights and the conventions signed and ratified by the Kingdom of Morocco. 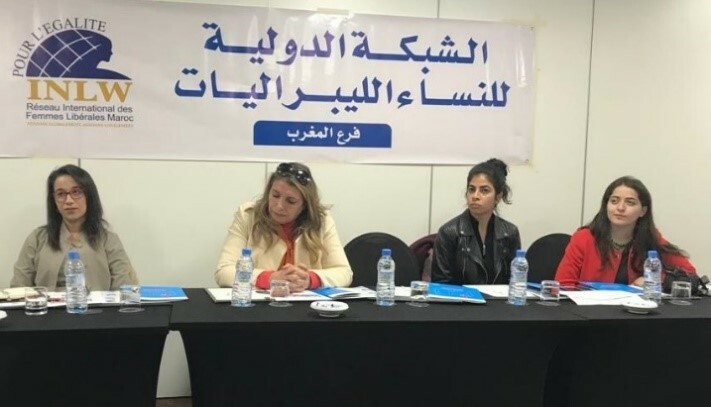 Liberalism is the only doctrine and moral philosophy for the International Network of Liberal Women-Morocco, which affirms and guarantees individual rights without selection, discrimination or classification. 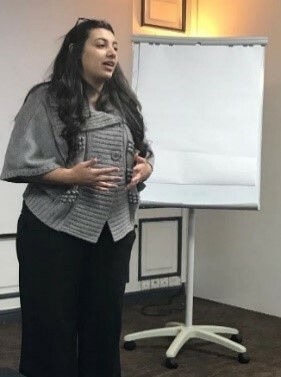 It is in this sense that this Network of Moroccan Women has organized a training workshop on Liberalism and Citizenship, a project that is part of a series of trainings that will allow all Network stakeholders and members to benefit from a wealth of experience in knowing, mastering and disseminating these concepts that we are used to using but whose meaning often escapes. This training workshop was organized by INLW Morocco to consolidate liberal values internally and unify the identity and vision of the network in partnership with the German Friedrich Naumann Foundation STIFTUNG, under the theme of liberal and citizen values, led by Professor Abdelali Mestour, President of the Citizenship Forum. The enthusiasm of the participants for these themes made the session quickly take the turn of a Think Tank at the service of reflection and collective productivity. 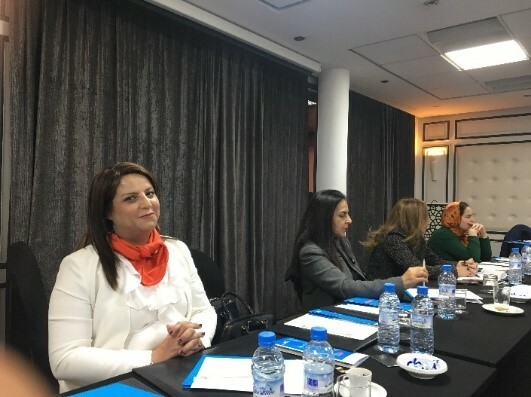 In the first place were defined the principles of liberalism in big letters which were then integrated into the identity and the specific values of the INLWMaroc network; and finally, an overall assessment of the session’s progress, with a conclusion from Madam Chairperson of the Network, Loubna Amhair and a note from Chaimae Bourjij, the program officer of the FNF FOUNDATION. • Better understand the dynamics of the group to reinforce the cohesion and reinforcement of the Network. Abdelali Mastour, is the president of the FORUM DE CITOYENNETE (FC). Abdelali Mastour is a professor at the Higher Institute of Journalism and Information in Casablanca. Member of several committees as the Euro-Mediterranean Foundation of Support for Human Rights Defenders (EMFHR). Hakima el Haiti (on the left), deputy President of INLW and Deputy Minister of Environment in the Maroccan government. She is the First female minister of Mouvement Populaire party, full member of LI. 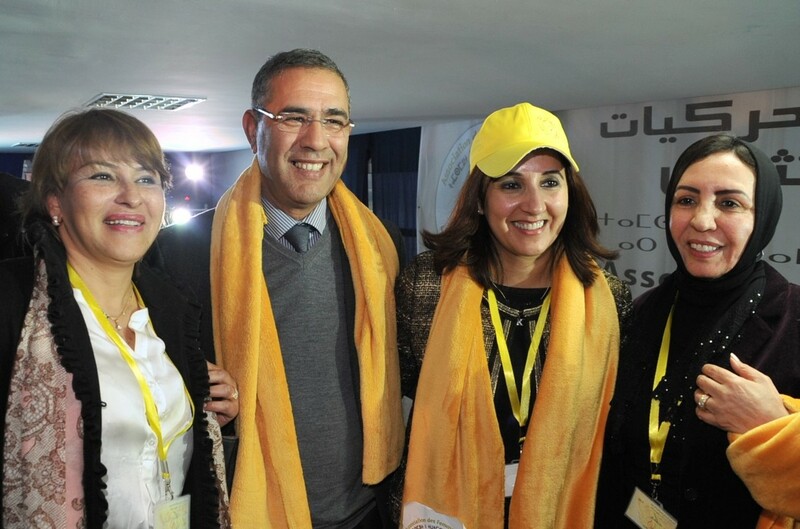 INLW is very proud of both board members who are playing such an important role in Marocco! Mrs Khadija Oum Bachair EL MORABIT, vice president of International Network of Liberal Women (INLW) for the MENA region, has been elected on 4/1/14 at the General Assembly of the Association of Harakies Women as the National President of this association, which is a parallel organism of the Mouvement Populaire Party in Morocco. The INLW board congratulates Khadija with this election for the important post of President of Harakies Women. We wish her success with the plight for equal rights for women and girls in Marocco. It has just been announced that INLW Deputy President Hakima El Haiti is to be Minister of Environment in the Government of the Kingdom of Marocco. She is the first ever woman to be Minister of her party Mouvement Populaire. International Network of Liberal Women (INLW) is very proud to have her in the management board of INLW. Congratulations Hakima, All the Board of INLW, think you will be succesful in this important post and we wish you all the best therein!